Water is one of the greatest mediums for exploring science. It’s easy to work with, it’s readily available, it’s safe and kids love playing with it! 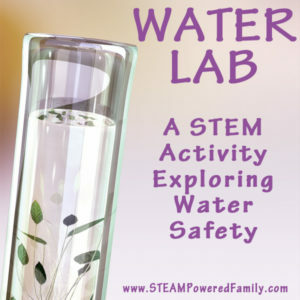 Are you looking for some great ideas for water projects in your class, homeschool or home? 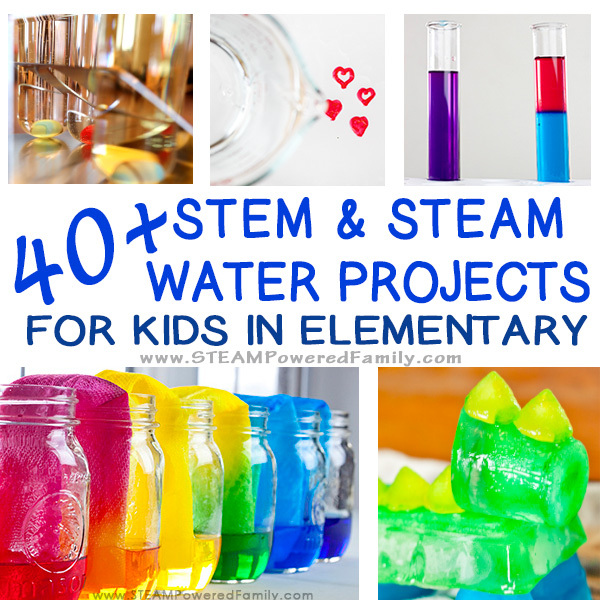 Find some great inspiration on this list of over 40 water projects for kids! To make navigating this resource easier, I have divided it into some general categories. Water Lab Exploring Safe Drinking Water is a science experiment that turns students into water testers with an eye for safety. Using water sources around your home or school you can easily set up this activity and in the process learn a valuable lesson about how precious safe water is for families everywhere. For more testing ideas you can check out this article. 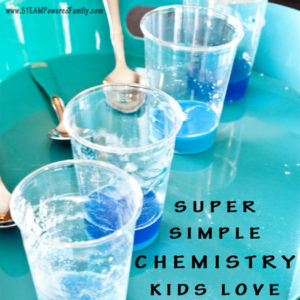 Super Simple Chemistry is a kid favourite activity that explores how different substances mix with water. 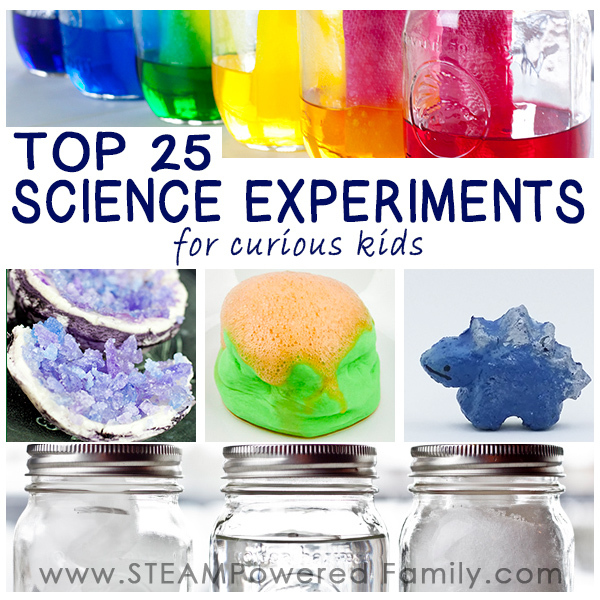 Not everything dissolves, start exploring these ideas with this simple activity. Marble Run Density Project is a simple activity that explores the density of different liquids using marbles. It’s fun and accessible for all ages. Everyone loves a good race! 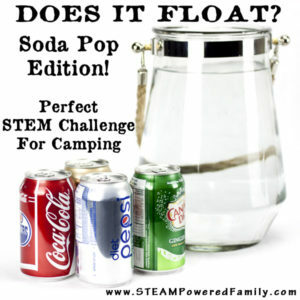 Does It Float – Pop Can edition is a fascinating activity that demonstrates how the density of different canned drinks affects whether they float or not. The results are fun and this makes for a great activity during camp outs. Explore density in this fun twist on a “does it float” activity, by exploring how sharks stay afloat. 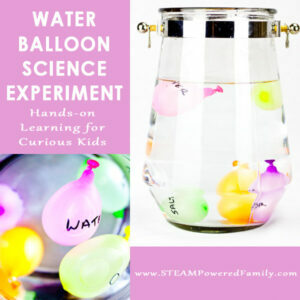 Water Balloon Density Experiment – This colorful experiment is a huge hit with kids, with a fun factor through the roof! 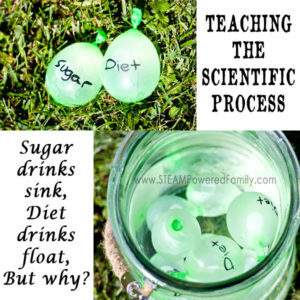 Teaching The Scientific Process With Water Balloons – This is a fantastic idea for learning how to create scientific proof by exploring the science behind the “does it float pop can edition” experiment. 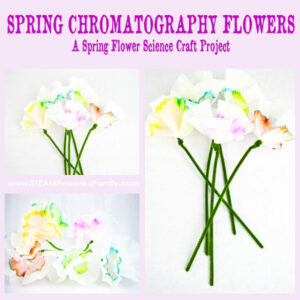 Chromatography Flowers is a super easy activity that even little kids will be able to do with minimal adult help. Watch how water helps colours travel through the coffee filter making pretty designs. Crawling Colors is an experiment about color theory. It is also one of the more beautiful water projects for kids that involves the natural traveling of water along mediums. With a bit of explanation this could easily be turned into a lesson about water. And it’s gorgeous to watch! 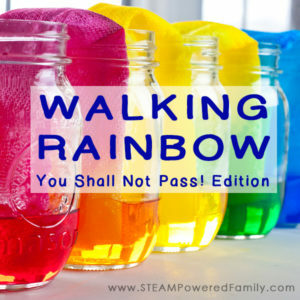 Walking Rainbow – This was our attempt at the crawling colors experiment but when things went wrong it became a whole new and exciting water science lesson. 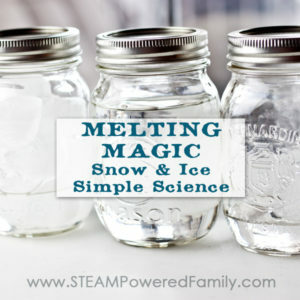 Water States of Matter Experiment with Snow and Ice Simple Science – Melting Magic. Why does salt melt ice? 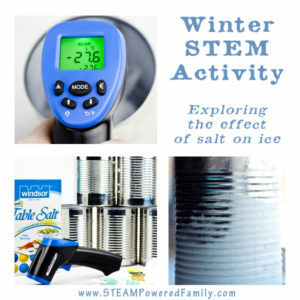 This STEM activity dives into some great winter science as it explores how salt affects ice. Live somewhere cold? 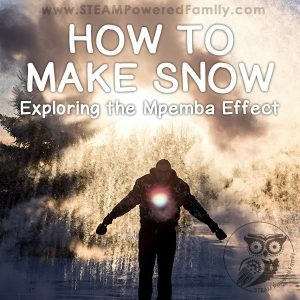 Explore the Mpemba Effect in a spectacular way as you create snow. 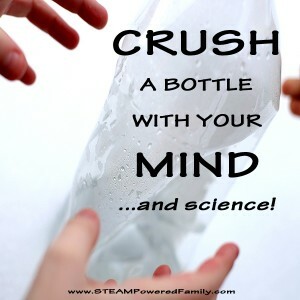 Bottle Crush is a project that will have kids asking to go outside on a cold winter day over and over again. Like magic, kids will learn how to crush a plastic bottle without touching it, astounding their friends and family. 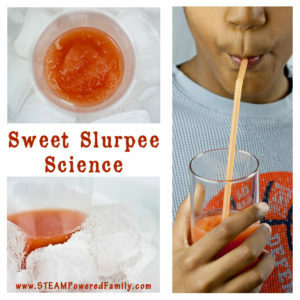 Slurpee Science Continue exploring the power of salt and water with states of matter changes with this experiment that ends with a tasty treat. 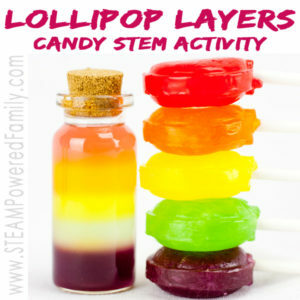 Layered Lollipops is a fascinating study into density. Makes a beautiful experiment that smells amazing! 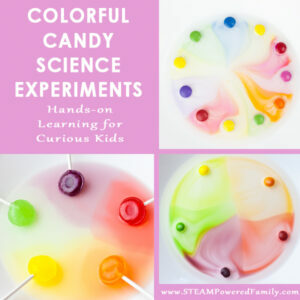 Colorful Candy Science is a colourful experiment that explores water stratification that will keep kids captivated. Dissolving Candies is a great way to explore how dissolution in water and how temperature affects the dissolving process. Lego Gummy Mummies is a project that explores what happens when water is removed, also known as desiccation which is part of the mummification process. It’s also an experiment using candy minifigs, so kids love it! Ice STEM Projects explore all the amazing things you can do when water enters a solid state, better known as ice! 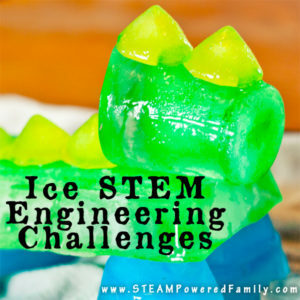 The dinosaur ice sculpture is just too cute and kids will love engineering their own ice creations. Build a Water Wall for hours of entertainment. 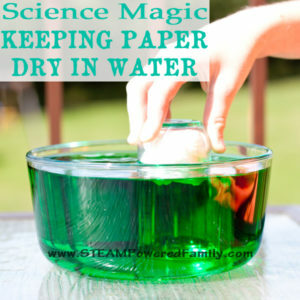 Although many think of this as a younger kid activity, if you challenge older kids to engineer a water wall it becomes a wonderful STEM project. Learn how to make a Magnifying Glass Out of Ice in this cool activity that is simple enough for all ages to try. 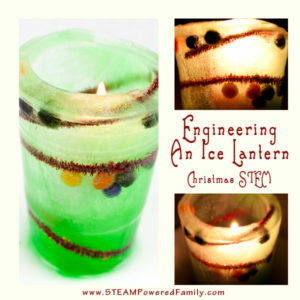 Engineer An Ice Lantern, perfect for the holidays. Engineer an Archimedes Screw and lift water using a device that dates back to ancient civilizations. Perfect to tie in your science and history lessons together. 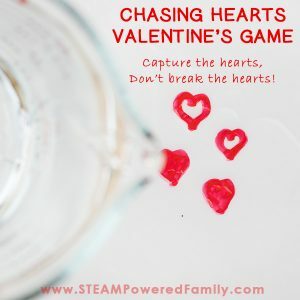 Chasing Hearts – This science experiment is like magic and creates a fantastic experiment that is like magic as you explore science and physics principles, all while playing a fun game! Magic Jumping Coin is an activity that is filled with gasps of surprise! It’s like magic and so quick and simple to set up. Kids love to practice this one over and over again. The Surface Tension of Water and liquids varies, explore the properties of these liquids in this activity. Keep it Dry – A slight of hand activity that kids of all ages love to take a turn at. 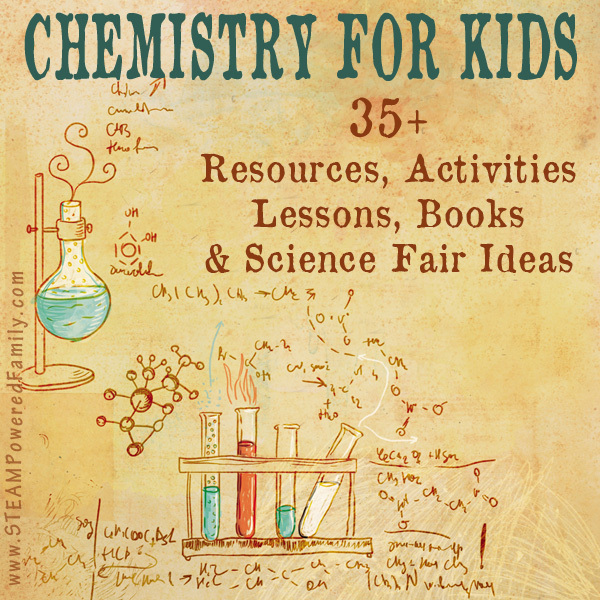 Become a magical scientist! 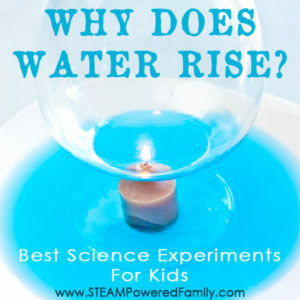 Why Does Water Rise? is an activity that is like magic! 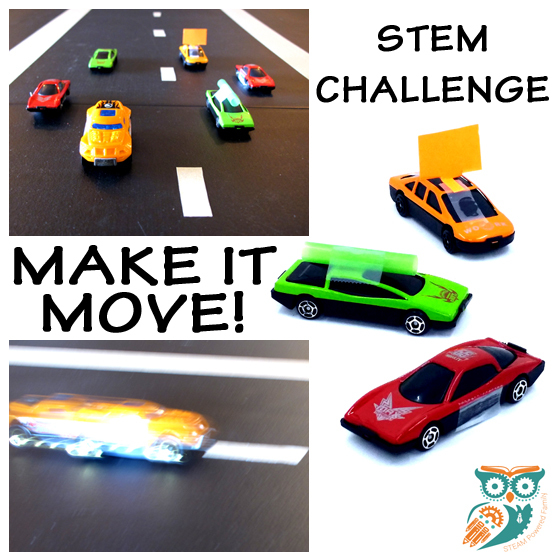 Kids love this STEM Activity that involves a little tech in the investigative process. Build a Leak Proof Bag that is filled with water and pierced through with tons of pencils? Sounds impossible, but it’s not if you know the science! Fireworks in Water is a quick and simple activity exploring density. A fantastic idea for a rainy afternoon when you want to try some water projects for kids that will keep them enthralled with minimal effort on your part. 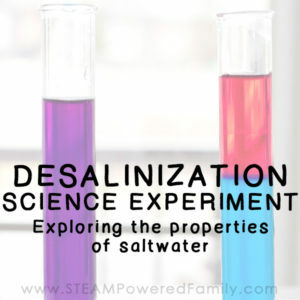 The Water Desalinization Project is a interesting activity that explores how to remove the salt from salt water making it safe to drink. This Fish Diving Activity is a neat way to explore how fish use air to help them move around underwater. A similar activity involves creating a Cartesian Diver. Create your very own simple water projects for kids that explore Ocean Currents using items you already have at home. 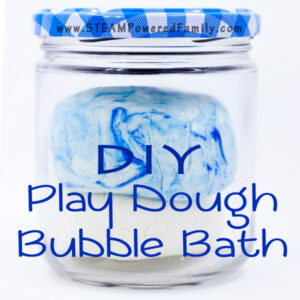 DIY Play Dough Bubble Bath is not a water project exactly, but it’s an inexpensive way to create some bubble bath play dough that would be perfect for doing some water projects with kids in the bath tub or at a water table. Oobleck is a captivating activity to explore the difference in liquids. With the addition of one ingredient to water you create the most bizarre substance. Oobleck projects are an excellent addition to the study of states of matter and the senses. Have fun learning with nature’s most valuable liquid – water!